This might sound like the cheesy-kind of advice your parents might have given you, but it really is true that confidence can get you pretty much whatever you want. That and being yourself. If you have ever met an alpha male, or a woman who just seems to have everything under control, then you might have noticed that they are usually very confident. The truth is that the whole reason they appear so successful is that confidence. That’s because confidence sends a powerful signal – it says ‘I consider myself to be a catch’. Speaking in evolutionary terms, confidence suggests that you are a good potential mate, or a superior competitor. Even if someone is short, poorly dressed and unappealing – if they are supremely confidence then it will seem as though they know something you don’t. The assumption is that they must have a reason to be that confident. And thus we instantly assume that this person is somehow our superior: that we should try to impress them, or try to be more like them. That’s why we gravitate toward confident people, want to date them and want to be liked by them. A lot of people don’t realize the importance of confidence and they think it is enough to be nice. They assume that by acting nice, they will get people to like them and they can that way overcome their looks, their stature, or their status. But if you don’t have any self-confidence and you act very nice, then this can actually backfire: it starts to seem as though you want something and that you are being a creep in order to get it. Conversely, if you act a little less needy, if you can show yourself to be highly capable and impressive and then you chat to someone in a friendly and open manner…then people will be won over by your charm and your appeal. This niceness seems much more genuine because you appear like you don’t need help from everyone. So guys: stop trying to win the girl by being nice. Employees, stop trying to get the job by being self-deprecating. 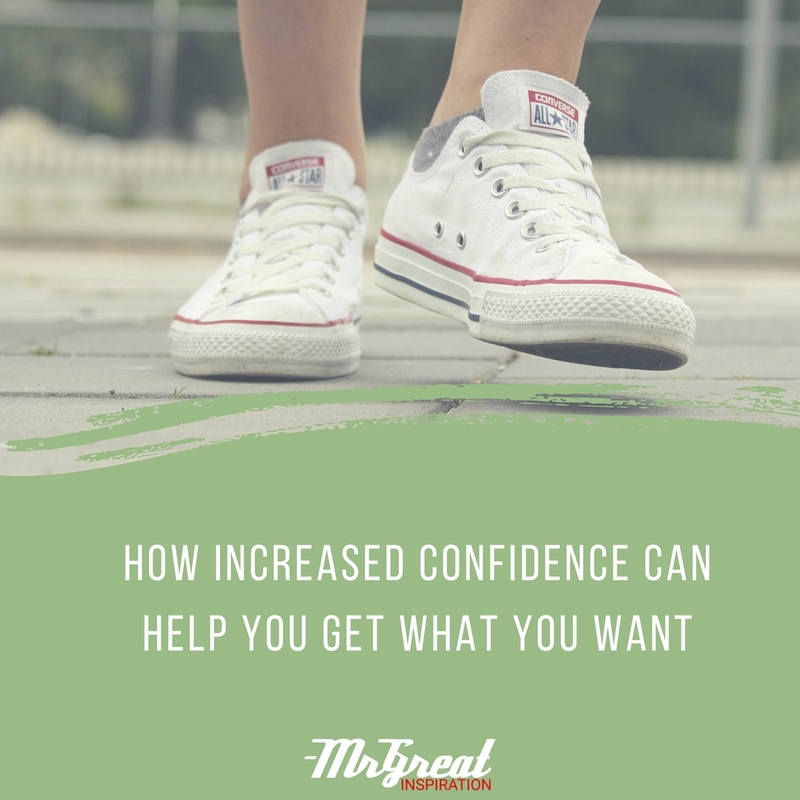 We hope guys you find our article "How Increased Confidence Can Help You Get What You Want" by Mr Great Inspiration useful. If you think we have made some efforts, then don't forgot to appreciate us by sharing this inspirational article with your friends and family, And thanks for visiting.